I'm always one for getting kids moving and with good weather you can even take therapy outdoors (or if you don't work summers, you can lay back in a lounge chair and simply imagine how fun this will be in the fall)! 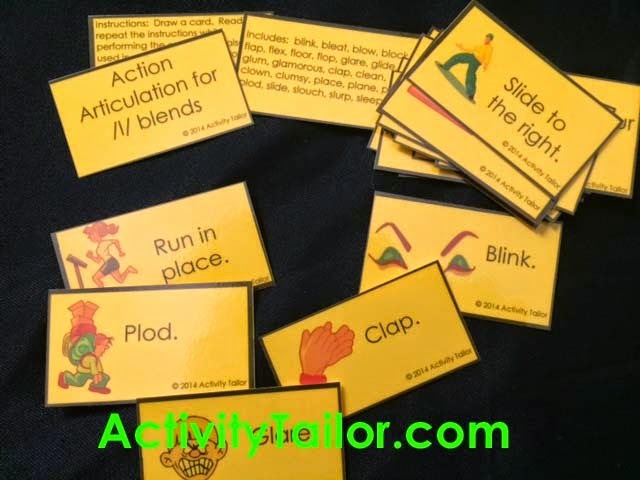 Action Articulation cards are small command cards organized by phoneme/position that can be repeated and acted out or used for charades. There are also lots of possibilities for following directions and targeting language goals! Click here for your FREEBIE targeting L Blends!